We both had cute skunks! Happy Halloween to you guys! 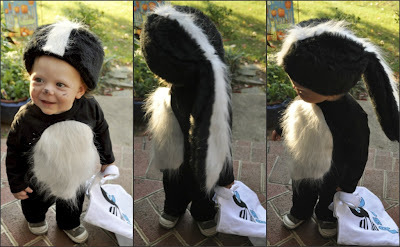 Love the skunk custome!!! I haven't seen that one before. 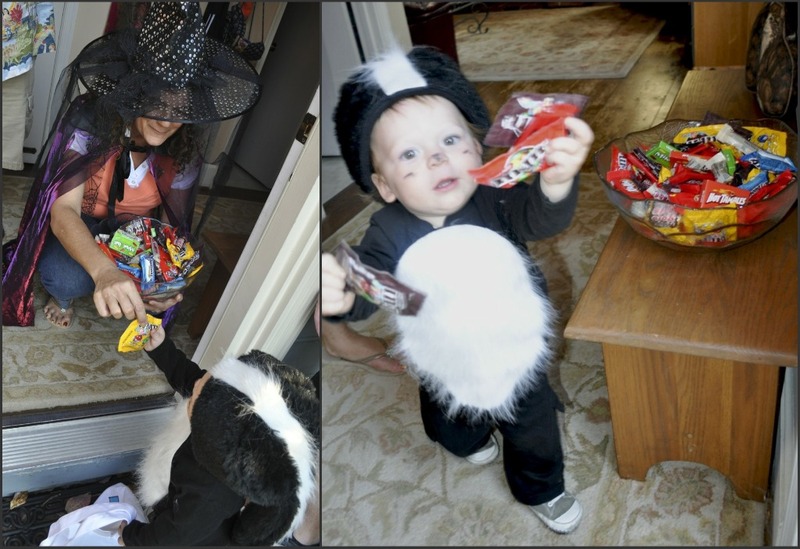 I love the photo of Roscoe offering up the M&Ms. I am excited to think Madame will be doing similar things next year! Think how much fun you will have with two! 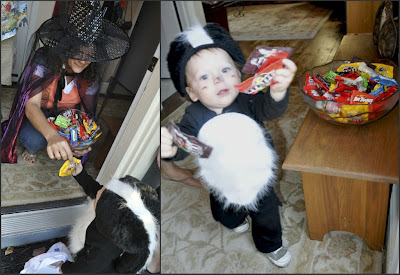 That is the cutest little skunk costume!! !